Patriarch Kirill of Moscow and All Russia makes his traditional address to the nation on Easter Day. During these days of Easter we greet each other with these wonderful words. And we reply, “He is risen indeed!” These exclamations, full of light and vitality, have been used for almost two thousand years. Over this period, powerful kingdoms arose and fell apart, languages and peoples came into and out of being, people took fancy to different ideas, many of which, incidentally, resulted in bitter disappointment. Everything was changing. But these words remained unchanged. We are saying that the resurrection of Christ is not just a fact of the past; it is real and present here and now. The risen Savior is present in His church, among His believers. He receives those who come to Him with repentance and faith and fills their hearts with grace the same way He strengthened and emboldened His disciples to testify about Him unto the uttermost part of the earth. The resurrection of Christ is the most important event both in the history of mankind and in the life of every individual. Therefore, we also testify of the real change that occurs today in our lives by the power of the risen Christ—the change that turns people from darkness to light, from death to life, and from despair to hope; the transformation that happens in the life of every person who turns to our Lord in genuine faith. When we declare that Christ is risen, we express our confidence that, just like Christ rose from the dead, so will we rise up through the power of God unto new life, and God will free the universe forever of all sin and evil. Then all who long for God's righteousness to triumph will rejoice with everlasting joy. We express our faith that man exists for a great purpose, that each person is valuable in the eyes of God, and that God wants to bring us all to eternal joy and everlasting glory. When we proclaim that Christ is risen, we also express our aspiration to change our lives in conformity with this great hope. We confirm that we want to mend our ways, reject what belongs to darkness and what is incompatible with being a Christian. We reject malice, hatred, envy and unrighteousness, in our private and public life alike. We express our willingness to turn to the path of faith and the love of God. In our earthly lives, this love manifests itself above all in helping those in need and in caring for those who suffer and struggle. On this day of Holy Easter, let every one of us bring the great news of Christ’s resurrection to our loved ones. Let us express our Easter joy not only with words, but with our actions as well. Let us visit those who are lonely. Let us bring joy to those in sorrow. Let us help those in need: children in orphanages, convicts in prisons, and our elderly neighbors. Let our risen Lord and Savior give us strength for that with His all-empowering grace! The Christian world is celebrating Easter on April 24 this year. 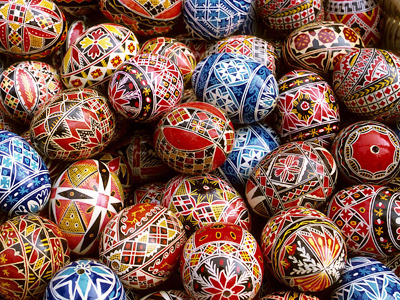 For Russian Orthodox Christians, Easter is a major celebration, which marks the end to seven weeks of Lent. The main Easter service in Russia is traditionally held in the Cathedral of Christ the Savior in Moscow, which is the country’s foremost cathedral. 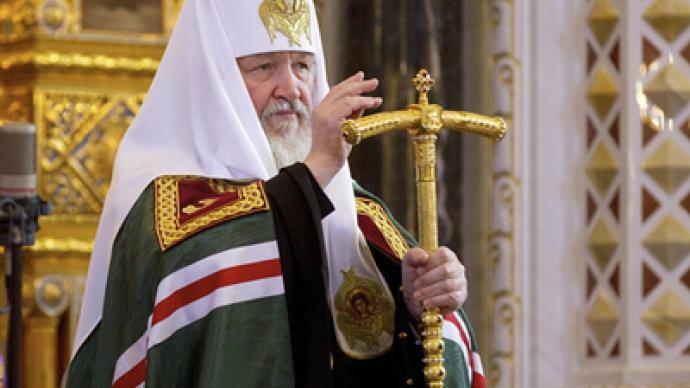 Patriarch Kirill of Moscow and All Russia, who heads the Russian Orthodox Church, leads the Easter Service. The vigil is usually attended by Russia’s highest officials, including the president and prime minister.